We all remember the good old times when the bundled games that came with an operating system were actually worth playing. Solitaire, Minesweeper, and my personal favorite, Pinball. Unfortunately a lot of these are missing from today’s operating systems. Most require an additional download or even cost a few dollars to get full access to. 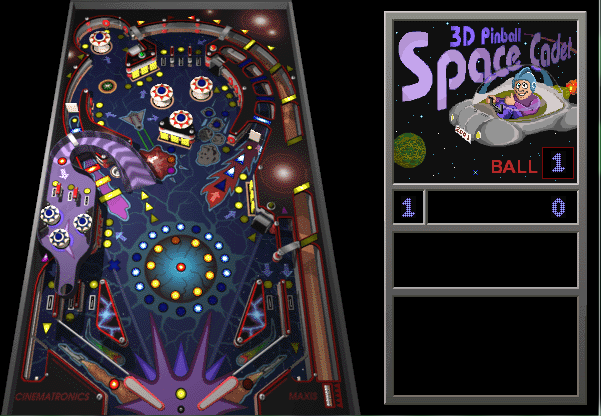 Luckily there’s one classic that you can still manage to find and install, 3D Pinball! There are many online content providers, from Google Play to Amazon Prime. However, the one with the best content selection for the price is still Netflix. Netflix is an amazing service, especially considering the price. Unfortunately I can only fully utilize this service if my internet connection can support it. Now ideally, I pay my Internet Service Provider for Internet access; unrestricted Internet access. And it isn’t anything Cheap. I can get Netflix for just $8 bucks a month, but I have to give up over $50 a month just for a measly 8Mbps connection. Doesn’t seem fair, but hey, that’s my only option. The great monopoly that is Comcast is the only cable Internet provider in my area… I pay then handsomely for Internet access, yet at times it would appear that they are failing to do even that. Recently I have been having a very hard time streaming content from Netflix, and I’m not alone. Keeping up to date backups is very important when dealing with any type of online server. One can never predict when a hard drive will fail, a file system gets corrupt, or even when mother nature will ruin your day. Thus the reason to keep not only an on-site backup but a remote duplicate in a completely different location. In this guide I will walk you though setting up a complete remote backup solution using rsync on just about any Linux distribution you would be using. Let’s get started! that runs on their mobile devices. In recently updated, Mojang has even added support for multiplayer. Unfortunately, they have yet to release an official server. Officially, the only way to create a multiplayer server is through direct hosting through the app itself. 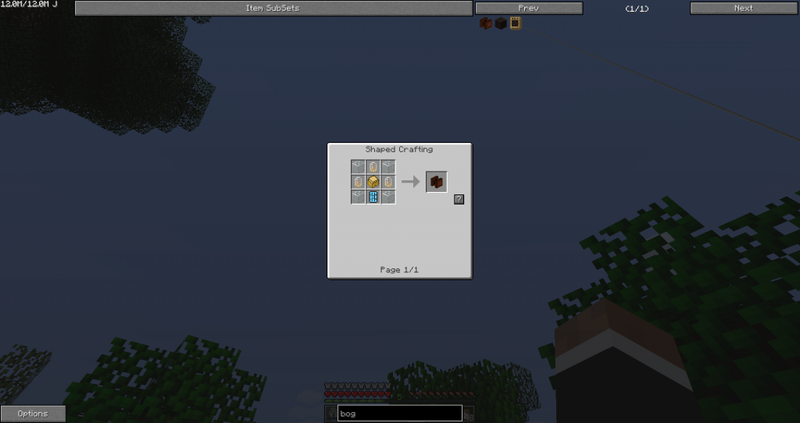 However, there is currently an unofficial server being developed that can run on a desktop computer. I’ve come to the conclusion that I just haven’t been producing as much video game content as I would like to. I play video games every day but I never share any of it with my readers. Well, to day that changes. 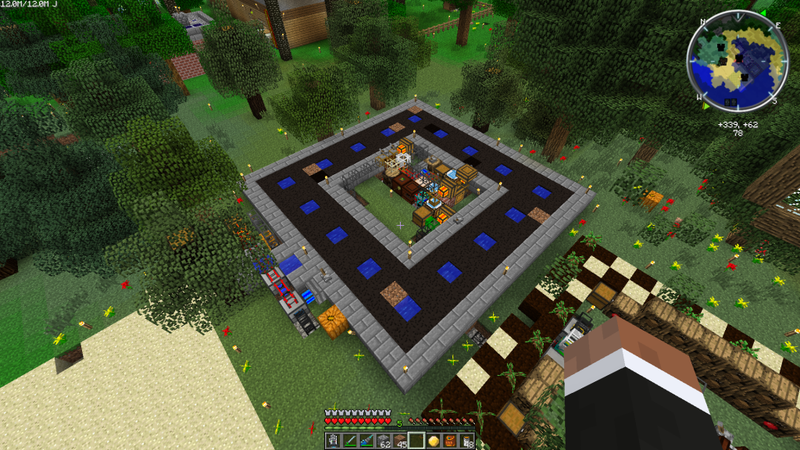 Today I’m going to show you my little peat farm that I have setup to power some engines that I use to produce MJ. Overall it quite a simple setup. I have a Peat Bog that keeps an area automatically farms. Once a block of bog earth is ready to be harvested, it does so and deposits it into the barrel I have next to the Turbary. Android is a great operating system with so many powerful applications that expand its possibilities. The only downside to this large array of applications is that many of them are written in a way where they are always running in the background of your phone. As much as I like having the Facebook app on my phone, I don’t need to get notifications from it; that’s why I have email notifications setup. I don’t need to be notified twice from this app. This is why I use another app to manage things like Facebook and other apps that demand to be running in the background, consuming precious resources. I have been using a VPS from VolumeDrive for quite some time now. To be honest, I don’t know why I still have it. I have reviewed VolumeDrive before and the review was mostly positive but it seems that all the trouble I am having just isn’t worth the price. For months now my server has been off and on for hours at a time. Their network also can turn to crap at times. Unfortunately today is much worse. For about the last 24 hours, no one has been able to access ANY of the VolumeDrive infrastructure. I cannot access my VPS (on node 12) or even their website. The worst part is, they haven’t said a word to any of their customers regarding the issue. I had finally had enough with my current AT&T connection, it was far too unreliable and plain old slow to even use. Plus, they didn’t offer anything better than their lowest tier in my area. A lousy 0.77kB/s just was not enough. Due to this, I though I would try getting twice the speed for just about the same price through Clear. For those that don’t already know, clear is a 4G Internet provider. They have solutions that provide online connectivity for both on the go as well as in home. I gave their in home 4G service a try. The first thing I wanted to see was how well I would be covered by their network in my house. I went to their website and found out that there are two tower located just within a few blocks of my house. This meant that I was in an excellent location for their 4G coverage. Facebook recently announced their implementation of hashtags. They have begun to implement the use of hashtags in status updates for select users and soon plan to allow every user to have access to the feature. hashtags will allow users to tag their posts and search for similar posts that share the same hashtags. DD-WRT is amazing. Android is amazing. Combine the two and you get an awesome app that allows you to remotely monitor and view the Internet access on your network, WRTGate from the Google Play market allows users to connect to their router and view live graphs of all the devices on their network that are currently accessing the Internet. It also provides the ability to toggle Internet access for each one of these devices with the tap of a button. It’s a very useful app. I’m always thinking about my servers and how I can either condense them, learn something new from them, or simply mess around with them. Well, recently I discovered just now easy it can be to connect a hard disk directly to an ESXi guest allowing the virtual machine to directly access the information on the drive. I even tested the set up by pulling the drive out of the server and into a SATA dock on my main computer. I was able to directly browse the files that the ESXi guest had written to the drive. Crashplan is a paid service that offers an easy means of creating an off site backup of your computer(s). For a monthly fee you can purchase different levels of storage. They have one small plan and then two more unlimited plans that allow you to either back to one computer or a few depending on the plan. The plan being reviewed here is the Unlimited backup plan for one computer. I am fairly new to managing a Linux server but I am learning more and more every day. As I learn I thought that you could learn along with me! Today I have for you a list of awesome Linux tools that I use everyday to help me keep on eye on my servers. What are your favorites? Let us know in the comments! It’s one thing to have downtime. It happens to everyone, sometime something just goes wrong and fail and there is nothing you can do about it other than get to work and try to fix the problem. In addition it is your responsibility to keep users up to date as to why they can’t access their account and if any progress is being made. Well, Microsoft has failed at all of this. So far, as of 2-23-2013, I have been unable to access my Hotmail email account for three days. I know that I am not alone, if you go into the Windows Live support forums you can see hundreds of people with the same problem yet if you go to Microsoft’s status page all systems are said to be running normally. This is not only rude but it is unfair to not tell users that you messed up.